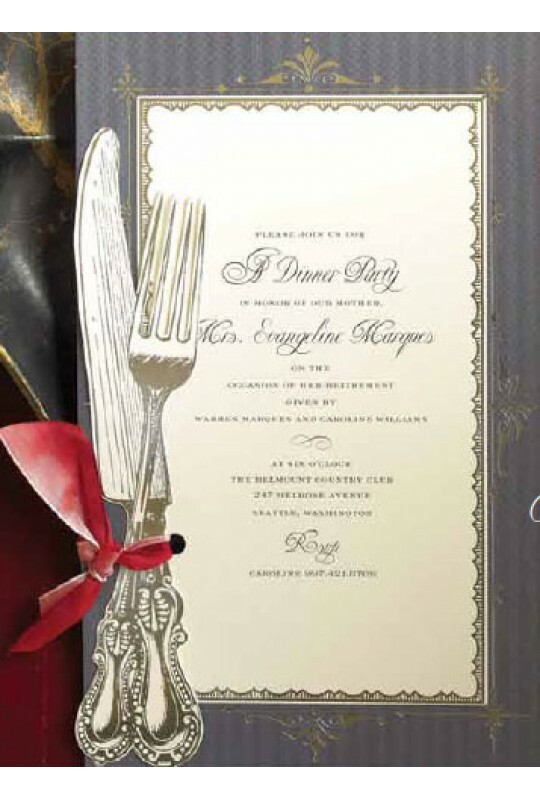 This 6"x 8" invitation features a cream card with a black and silver border. 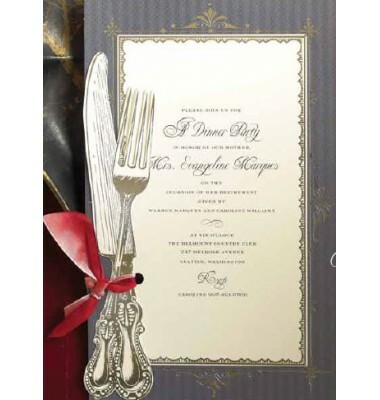 A die-cut of a knife and fork is attached to the card with a red ribbon. White envelopes included. Attachment of ribbon required.